HSE recommends that British warehouses receive an annual racking inspection from a SEMA approved racking inspector. But what counts as a warehouse in HSE’s eyes? Does your business need a SEMA approved racking inspection? At Storage Equipment Experts, we’ve written a lot about warehouse safety: from warehouse racking safety safety tips to how the EU has influenced warehouses and warehouse racking safety. However, what we’ve not done is define warehouses in the eyes of HSE. This definition is extremely important. After all, HSE recommends that warehouses receive a SEMA approved racking inspection at least once a year. So what exactly is a warehouse, and does your business have one? The answer is not as simple as you might think. “A warehouse is a large building where goods are stored, and where they may be catalogued, shipped, or received, depending upon the type.” That’s one definition, but when you really break it down, it’s actually quite vague and not entirely correct. For one thing, not all warehouses are buildings in and of themselves. Argos warehouses are often attached to the main body of the building precisely because their business model depends on synchronising a consumer-friendly shop floor with an employee-friendly storage system. So if a warehouse can be attached to the building itself, how does a warehouse differ from a storeroom? HSE does not give an absolute definition of a warehouse and, throughout their guide on warehouse safety, they refer to stockrooms and warehouses interchangeably. This is because HSE recognises that every storage system is different and a government definition of what counts as a warehouse and what doesn’t is not helpful. The important thing is safety. HSE’s guide on warehouse safety comprehensively lists every possible risk that a warehouse or stockroom could have. It then makes safety recommendations based on those risks. For example, not all warehouses use fork-lifts, but those that do need to adhere to HSE’s guidelines on forklift safety, which includes forklift training. So rather than defining what a warehouse is, HSE’s advice covers every possible aspect of the warehouse. They then recommend that warehouse owners follow the advice that applies to them. This is because, with the new CDM regulations, the responsibility ultimately lies with the warehouse owner. HSE’s advice is there as a guide, and it is the employer’s responsibility, not HSE’s, to follow the advice relevant to them in order to make their employees safe “as far as is reasonably practical”. In other words, if tragedy strikes and a claimant can prove in a court of law that the accident occurred because HSE’s advice was not followed, then the claimant could argue that their safety was not assured as far as was “reasonably practical”. So Does My Warehouse Need a SEMA Approved Racking Inspection? If your warehouse includes a racking system, then the answer is yes. Unlike forklifts, racking systems can be found in basically any incarnation of a warehouse. After all, if you don’t have a racking system, then your warehouse is essentially useless — that cialis generique is unless you are using your warehouse for artistic purposes. The term “racking” is used to describe a skeletal framework, of fixed or adjustable design, to support loads generally without the use of shelves. “Without the use of shelves” and “skeletal framework” are important parts of this definition. After all, the stockroom of a small bookshop certainly wouldn’t be considered a warehouse. And besides, no-one would argue that the shelves of said bookshop need a SEMA approved racking inspection. However, the distribution centre for a large book supplier definitely does count as a warehouse, and its racking systems would require a yearly inspection from a SEMA approved racking inspector in order to adhere to HSE regulations. 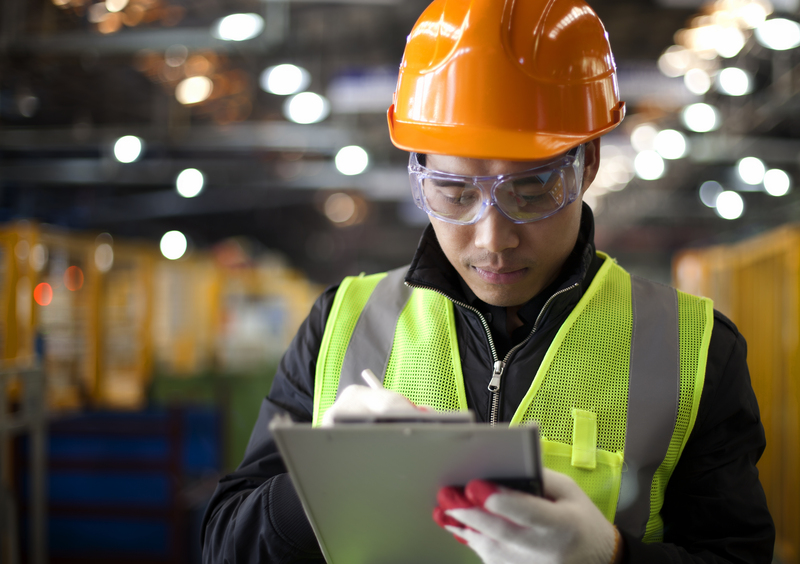 As has been previously mentioned, the new CDM regulations mean that the onus of responsibility is ultimately on the warehouse owner to ensure the safety of their staff “as far as is reasonably practical”. “Reasonably practical” is the important phrase. Do the shelves in the stockroom of your popup Christmas Card shop require a SEMA approved racking inspection? Probably not. Unless your Christmas Card shop is — in fact — some enormous storage facility where people can buy cards in bulk, then you are likely in the clear. Does your warehouse need a SEMA approved racking inspection? If you’re unsure, the answer is probably yes. In which case, be sure to contact Storage Equipment Experts to make sure your warehouse receives the annual SEMA approved racking inspection it needs.